Our second morning in Tucson we drove 20 minutes east to immerse ourselves in the wonders of desert beauty. We were probably a week early to see the cacti in bloom but we saw the buds and they were definitely getting ready. 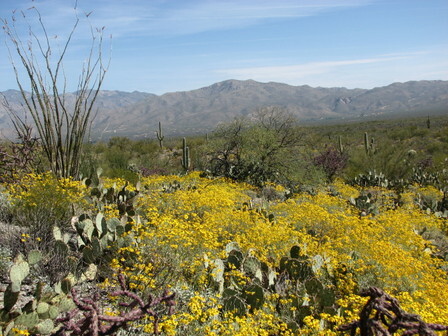 We did, however, get to see a lot of these yellow wildflowers and a few purple and orange ones. "There is no way to tell exactly how old a cactus is unless you know when it started growing. Unlike trees, cacti do not have annual growth rings, however, the size of the plant does give some indication of its age." 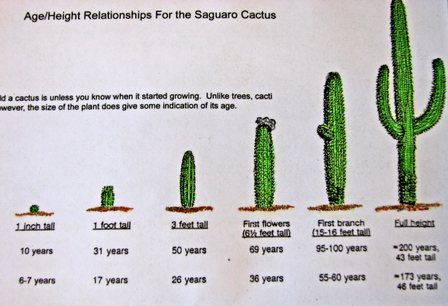 A saguaro cactus gets its first appendage at 55-60 years of age. Below are a couple of photos of pretty old cacti. The first includes my 5ft. 10 in husband and the second is a skeleton cactus. Bob mimicking the arm position of this large Saguaro cactus. 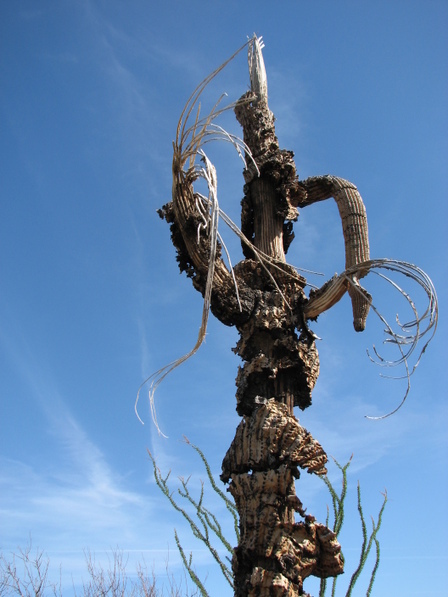 I love the gnarly art look of these cacti skeletons though they are quite rare. That is so neat! 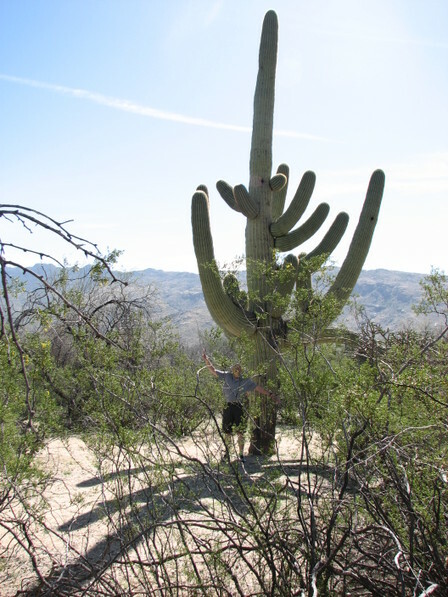 I never new how tall a saguaro got until now, and it's mind blowing! I thought they were more 6 feet tall, not forty! Absolutely crazy, absolutely beautiful. Oh my goodness... I'd love to cover that in doilies! 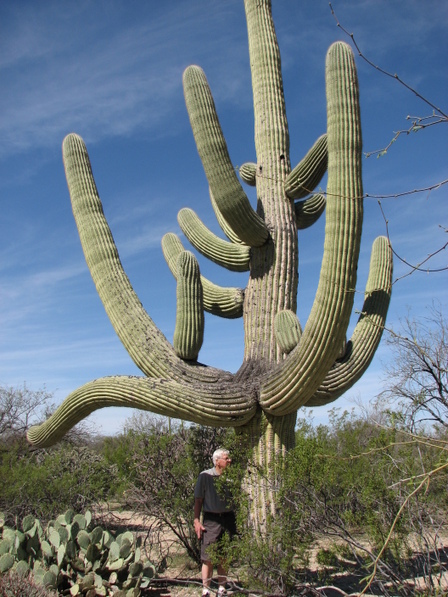 the saguaro cactus are so cool looking.they look so big and tall. Beautiful: until I saw the high desert the first time in my late adolescence, I would never have believed it could be so beautiful.